Have your shelves mounted, pictures hung, and kitchen fitted quickly by a reliable handyman in London… from only £34 per half an hour. Save the time and hassle of requesting a handyman service on the phone. Use our online booking form, live chat, or the GoFantastic app. Your online booking is a few clicks away. 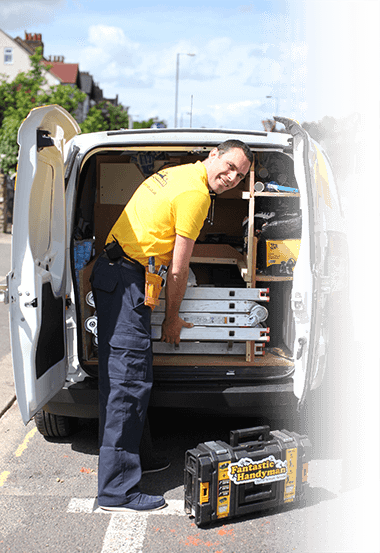 Your property is in safe hands with Fantastic Handyman. Each technician carries public liability insurance for a minimum of £5 million which guarantees you a trouble-free service. 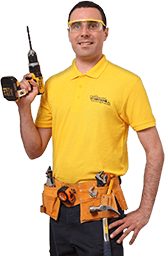 Hire your Fantastic handy tradesman in any area across North London, South London, East London, West London and Central London. Book an experienced repairman, installer, electrician, plumber, carpenter or odd job man to help save on hassle and nerves.. The drains in the bathroom are always blocked and the previous guys I called said we should have the drains replaced. Your handyman service was very fast and without replacing anything. You saved us a fortune. Thanks!